March is National Women’s History Month. But thirty-one days is just not enough time to tell all of the remarkable stories of our J. Lohr team members. 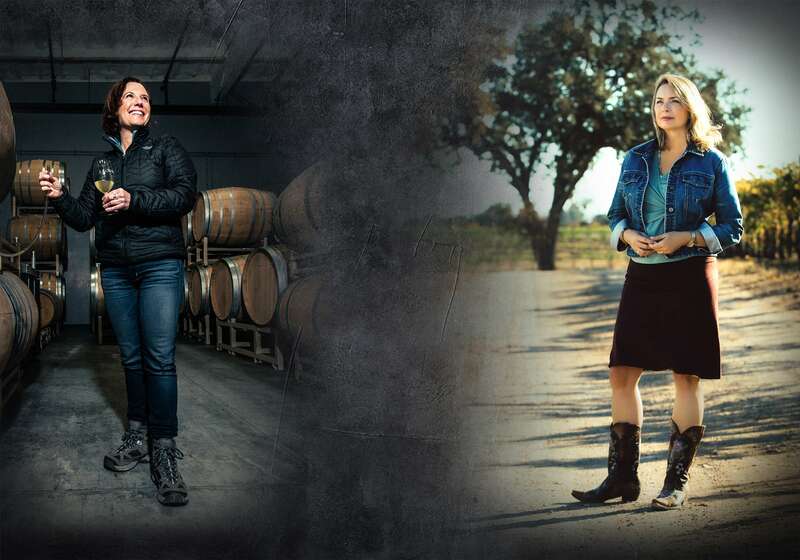 Throughout the new year, we’ll be celebrating the contributions and personalities of some very inspirational women, starting with J. Lohr white wines winemaker Kristen Barnhisel and co-owner/trade and brand advocate Cynthia Lohr. Join the ongoing #JLohrWomen conversation. As the daughter of wine industry pioneer Jerry Lohr, Cynthia Lohr spent some of her youth in the vineyards and at the wineries, absorbing aspects of the wine industry firsthand. As an adult, she chose her own path, establishing a reputation for excellence in strategic marketing and public relations, working with a who’s who of leading Internet and technology companies. In 2002, Cynthia joined the family business as director of communications for J. Lohr Vineyards & Wines, and in 2009, she was named marketing vice president. – Kristen Barnhisel, J. Lohr Winemaker, White Wines. Follow Us on Instagram For Ongoing Updates and Exciting Happenings! Steve Lohr joined us at the 5th annual Women of the Vine & Spirits Global Symposium in Napa this week, eager to discuss gender diversity in the workplace. Our team just arrived at the Women of the Vine & Spirits Global Symposium in Napa, CA! We’re ready to explore advancing diversity in the wine industry and how we can have an impact. Are you with us in promoting diversity in the workforce? Be sure to tune into our Instagram Story the next few days to get our behind the scenes scoop. At J. Lohr, talent and inspiration know no gender. Tomorrow, we’re heading to the Women of the Vine & Spirits Conference in Napa, California… and we’re taking you all with us! It's International Women's Day, and we're feeling grateful for all the hardworking women behind J. Lohr wines. Meet Cindy Paup, our VP of Sales Service and Direct Sales, who celebrated 30 years with J. Lohr Vineyards and Wines last year. Cindy is one of several #JLohrWomen who drive our success. Our VP of International Sales, Shaune Zeleny leads J. Lohr's massive efforts across Canada. Did you know we're available in every province? Cynthia Lohr isn't solely passionate about wine. In addition to her role as Trade & Brand Advocate at J. Lohr, Cynthia also serves on numerous philanthropic boards dedicated to the arts, youth engagement, and empowering women. The vines might be dormant, but our winemakers are not! Wintertime sees Kristen Barnhisel and her team hard at work in the cellars, stirring the lees in our J. Lohr Chardonnay barrels. At J. Lohr, talent and inspiration know no gender. 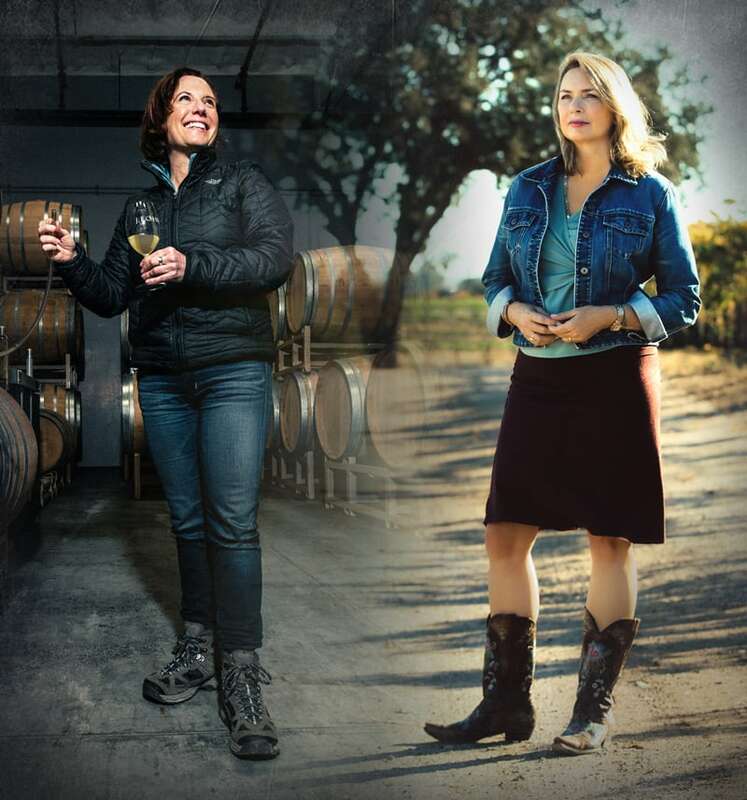 Beginning in January, winemaker Kristen Barnhisel and co-owner Cynthia Lohr will headline our #JLohrWomen series of posts and features. Join the conversation as we introduce you to some remarkable personalities and fascinating stories from the new year through National Women’s History Month in March. The Women of the Vine & Spirits organization is dedicated to empowering and advancing women in the alcohol beverage industry worldwide. The group’s “connect, collaborate, commit” motto speaks to their sense of community and mission. The annual Women of the Vine & Spirits Global Symposium that takes place in Napa over three days in March has become a major event in the wine industry’s calendar. J. Lohr, as a Platinum Sponsor, is proud to have supported the Symposium since its inception. In 2019, Cynthia Lohr will once again lead a J. Lohr team of participants to the event. Stay tuned for posts and pictures of all the action. In 1987, Congress designated March as National Women’s History Month – to “highlight the contributions of women to events in history and contemporary society.” International Women’s Day takes place on March 8. Join us throughout March as we explore and discuss some of the remarkable women that have helped shape our industry, country, and planet. Share your stories with us, as well!